On 18 November 2018, courtesy of the Kenyan Tourism Board, we went on a Safari Tour where we explored the treasures of Kenya including the Elephant Sanctuary, the Giraffe sanctuary then the human part of the Safari, Kazuri Factory. 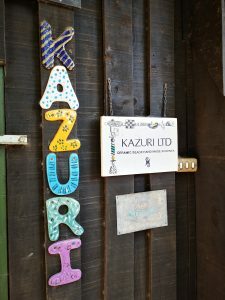 Kazuri manufactures ceramic beads, plates, cups and souvenirs using clay from Mount Kenya. 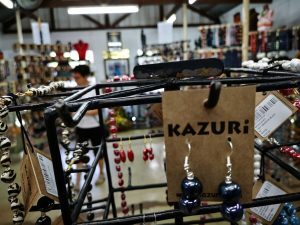 The Factory employs over 300 women, many of whom did not go to school. Currently, there are over 300 women on the waiting list. Those that get to be employed are provided with medical aid and a salary. 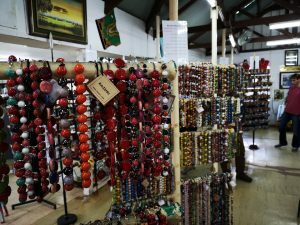 They each make between 700 and 1000 beads per day depending on the shape of each bead and the intricate detail painted on each hand made product. These products are exported all over the world. Once the clay is collected from Mount Kenya, it is placed in a machine with water that refines the clay till it is ready for molding. Their molding tools help to create consistency in the bead types. They have water tanks that collect rain water so that saves costs. A kiln is used to dry the clay before it is decorated with acrylic paint imported from South Africa. Once they are decorated, they are heated again. The kilns and machinery used to prepare the clay is imported from the United Kingdom. The products are heated over night because during the day, it is too hot. There are different designs created and tested in the market then most of the production is based on orders. This establishment was initially supported by private British funding and is today, a very attractive tourist destination for Kenya. 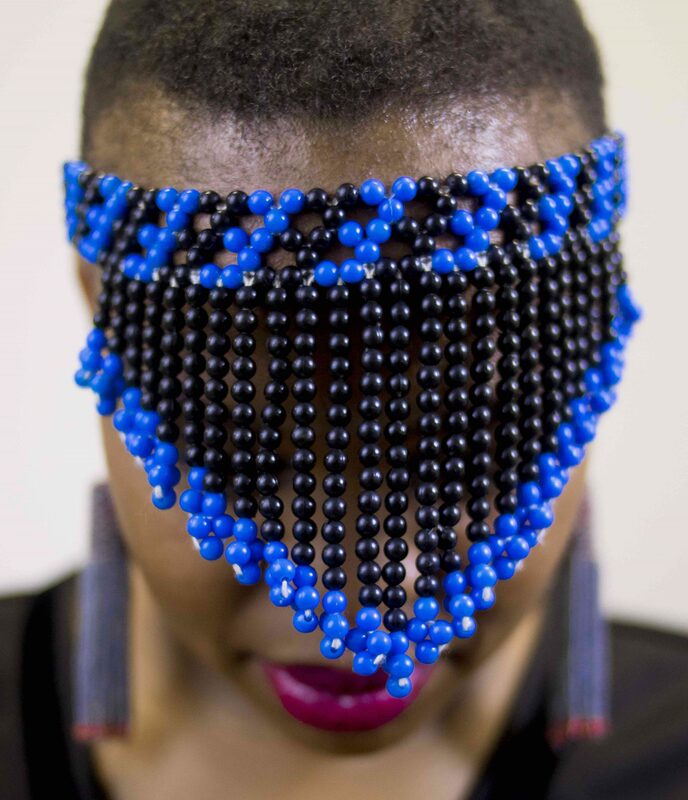 75 years later, this is a gem that is a good example of what development is possible in Africa through craft.